We are happy with our siding, happy with the doors and most happy with your company. Your crew was very professional and I will think of your company for all my home improvement. The more information you can provide to your Greater Cleveland siding installer, the better your project is likely to go. By asking yourself simple questions you can easily work with us to determine which type of siding will work best in your home. 1. How do you want your home to look? You should research how you want your siding to look. Homes in your community usually have a very distinct feel that can be matched with the right choice of siding. 2. What’s your budget? If you stay in your home a long time then you typically see a return on your investment. One of the biggest investments you can make is the look of your home. When you turn to the professionals of installation of siding in your Cleveland home, The Siding and Insulation Company, you can almost guarantee a return on your investment. 3. How will you finance your project? There are many different ways to find financing for the Installation of siding in your Cleveland home. Investigate financing. Installers frequently have financing programs available that are competitive with bank financing. Be sure to ask us about this option. The Installation of siding in your Cleveland home won’t disrupt your daily life that much! The material won’t take up much space in the yard, its installation does not carry with it any noxious chemicals or messy substances, and it can be installed one wall at a time. Plus its application is very fast, and can sometimes be as fast as a couple of days depending on the size the house. There Are Many Different Ways That The Installation Of Siding In Your Cleveland Home Can Be Made A Stress Free Project. First, ask your installer what the installation of siding in your Cleveland home entails. Second, if you give your installers room to work to get the job done the installation of siding in your Cleveland home will be a smooth process. Third, The installation team often starts the day early. So be prepared for an early morning on the day your project is scheduled to begin. The crew will work along one wall at a time starting from the lowest point on your home. Siding panels and trim will be cut to size on site, to ensure a perfect fit. 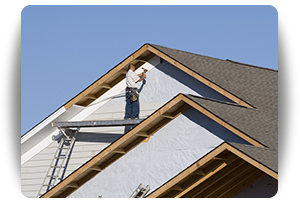 You’ll be surprised how quickly the installation of siding in your Cleveland home will happen. At the end of every day, the crew will take time to clean up the work area and properly store any materials or tools. They should make every effort to gather up all loose nails, hangers, etc. from your yard. They should also cart away all debris so that you will not have to. It’s absolutely free to find out how much the installation of siding in your Cleveland home will cost! Curious about what we can do for your home? Call The Siding & Insulation Company at (216)-281-5656 in West Cleveland and (216)-281-0160 in East Cleveland for a FREE, no obligation in-home siding estimate.